Last updated 10/14/2018. See others in comments below that I haven’t added here yet. There are many, many more communities than the few listed below. Post them in a comment, and I’ll add them here when I can. I don’t have the resources to check these out myself. no patient community, no book, no web site, no journal article, no physician, no nothing. ACOR’s kidney cancer group is now at SmartPatients.com. ACOR: The home page has a master list of ACOR cancer patient communities. An ACOR community is not web based; it’s just an email list (Listserv®). Old method (still works): You subscribe and unsubscribe by email. All ACOR lists work the same; as you’ll see, each has a name, e.g. KIDNEY-ONC for kidney oncology and NHL for Non-Hodgkins Lymphoma. Look for your cancer, and click it. You subscribe or unsubscribe to an ACOR list by simply sending a special email to a particular address. Instructions are on each disease’s page. ACOR has communities for many cancers; some groups are big and busy, some are small and not very active. Inspire.com has a large list of communities. Patients Like Me used to be primarily for some neurological conditions but their fabulous software is now available for any disease. Webicina is a great website that’s a growing library of resources for e-patients. Andrew Spong / patient communities is a StumbleUpon list curated by U.K. friend Andrew Spong. Dose of Digital has a list. Commenter Elaine Finn added her list on Patient Loving Care. Social Medicine, dozens of disease specific communities. The most amazing to me is BCSM.org, a non-profit that arose out of the weekly #BCSM Breast Cancer Social Media twitter chats. 100% patient-centered and patient-driven, with expert professional help from generous oncologists. Here’s their Facebook page and Twitter account @BCSMChat. The weekly tweetchat is at #bcsm, but of course anyone can tweet to a hashtag anytime. Be aware that Komen’s annual “Pinktober” marathon has much controversy around it. Here’s the Wikipedia discussion. As always, have your eyes open. Caveat: Type 1 diabetes (auto-immune, typically diagnosed in childhood) and Type 2 diabetes (an insulin uptake deficiency, typically acquired at 50+) are two different things. Be sure you know what you’re looking at – many articles say “diabetes” when they only mean Type 1, or “diabetes prevention,” which is only possible with Type 2. Also, pre-diabetes is a loosely defined condition with no online community that I can find – look into the Diabetes Prevention Program (DPP). It worked for me, at my local YMCA. Encephalitis Global is described in this post on e-patients.net. Endometrial cancer: see the responses on this post. Eye Diseases: a community on Inspire.com was added below by Brhamesh. Dr. Jack West at Swedish Medical Center also runs GRACE: Global Resource for Advancing Cancer Education. Here’s their lung cancer page. Mantle Cell Lymphoma (MCL): My almost-college-classmate Larry Fagan, MD, PhD manages ACOR’s MCL list and has created this list of tips and resources. Never let anyone pressure you into anything. Parkinson’s Disease: see this post (Jan. 2012) with resources from Peter Schmidt of the National Parkinson Foundation. UsToo.org is specific to prostate cancer. Sarcoma: See discussion in this Nov. 2013 blog post. EmpowHER: an actual basal cell community – sweet! Major props to my chorus buddy Kurt Boutin! Though it looks to be a thorough list, it isn’t searchable (in a database sense) and doesn’t break down by supported disease/condition. What I do like about the list is that it identifies any controlling pharmaceutical interest in the community–something that often isn’t obvious from the sites themselves. It would be great if we could figure out solution for getting what we need out of a database like this one. I do wonder if perhaps we could crowdsource it by contributing to Wikipedia or another public tool? I’d love to see something like this take off. http://www.caringbridge.org/ is a nice one, too. PS – Dave, this page is ONE example of many values patients want, ask for and need. I think we need ONE, “organized gang” of patients.. something like a “Society for Patient Interests” – to focus on only “patient” needs (in resources, organizing of resources, advocacy, education, empowerment, etc). This could be a project of the Society of Participatory Medicine, much like e-patients.net is. What do we think? How can current patient leaders spearhead such organization, if it’s agreed to be useful for patients? I used Caringbridge myself, but it’s not a community, right? It’s what you might call an individual journal or blog site, but not a place where people with a disease congregate and compare notes. PatientsLikeMe most definitely is though. You can propose anything you want on this site, but it has a smaller audience than the members’ listserv and the Society for Participatory Medicine…:) I doubt that one single massive patient group (which would, ultimately, include *everyone*) would be ideal for everyone, but who knows, others might agree. My personal criterion is, can any given patient find info that will make a difference to them, and if so, how easy is it? p.s. Stop thinking your comments are clogging anything up! :) Speak up! Express yourself! Be empowered. btw, Ryan, revisiting your May 9 suggestion for a one-stop list of patient resources – why don’t you go to the Society for Participatory Medicine’s member listserv (I presume you’re a member) and propose starting that?? Excellent question, my friend! Once I get settled with finding a salaried job and the move (family completes moving into new place this Monday! ), I’m planning to post a few ideas lingering in my head and get more active in the Society and patient advocacy/empowerment. Quick Question, btw: I’m on the Patient Needs WG for Patients 2.0 / Health 2.0 in SF this year. We’re trying to discover what Patients need right now is. Any ideas? =) I like the idea of continuing along the patient empowerment movement, by striving to define what we feel ’empowerment’ should be and needs to encompass. I’m going to post this question on the listserv, as well. High five and sincere thanks for adding Encephalitis Global to your list of patient communities, Dave! I’m sure you’re familiar with one of my favourite phrases… “I’m dancing as fast as I can!” Well, that dance somehow gets a bit easier when a friend joins in. Again, our sincere thanks to you! Here is a consumer health portal that aggregates highly focused content on both traditional and alternative medical treatments for chronic diseases. The first disease indexed contains over 6,000 medical journal articles broken down into the top 200+ categories for ulcerative colitis. There will be another 8 or so diseases added in the next three to four months. What is unique about this index is that it was compiled using consumer search data plus over 20 custom medical databases (and a slew of algorithms) so that it represents the collective wisdom of millions of data points from patients and physicians. The information is near real time (updated a couple of times a month). This is a new data content approach that aims to solve a few problems: a) Patients do not always know what questions to even ask or topics to search for b) Content sites become stale as information in medicine changes all of the time c) Information needs to be very focused and if there are only four articles on the topic, this approach can find those four articles and not a 1,000 unrelated articles. This page is the disease overview http://mymedicalfinder.com/all-uc-topics and homepage is here http://mymedicalfinder.com . In full disclosure, I am the co-founder. There is no commercial content indexed. Feedback is definitely welcome. We’d love it if you’d post a link to The Better Way Back. It’s a growing patient community for those faced with the decision to have spine surgery. We put those who have questions in contact with others who have undergone similar or identical procedures. Thanks! 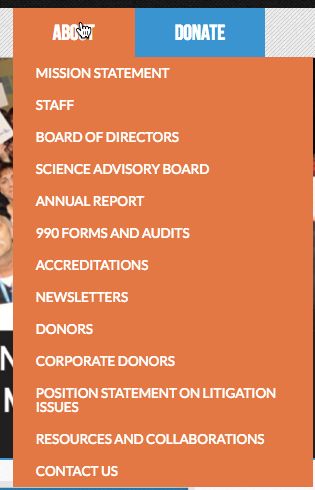 Hi Matt – what sort of organization is this? From the website it appears to be a vendor / provider group. No problem with that of course – just need to be clear, and know what category to put it in. Also, what’s the participatory medicine aspect of the service? Well, Matt didn’t respond to my question, and in a separate post a LOT of docs said to be really cautious about back surgery. I clicked Matt’s link and then About Us, and although it’s a .org, it’s backed by vendors. His lack of dialog leads me to remove his URL. People, social media is for dialog, not for post-and-run. CancerConnect.com is the best of both worlds. It offers comprehensive cancer information, organized by disease and stage. It is also a free social network for patients, survivors, and caregivers. Members can join one or more of the many “communities” offered. There is a nice community regarding ‘Eye infections and diseases’ at Inspire.com. I have posted on it looking for answers to one of the condition I am encountering. It would be great if anyone could help in this. WhatNext.com is a new online cancer support network developed with the participation of the American Cancer Society. WhatNext instantly connects people touch by cancer – based on a specific diagnosis – to peers and vetted resources that can help. We support patients, caregivers, survivors and loved ones. At WhatNext, people are sharing the details of their cancer journeys as a way to help those who are newly diagnosed know what they might expect, what they might need and where they can get what they need. Dave, I hope you’ll be able to list us. We would love for you to stop by and hopefully you’ll be able to share your incredible journey when you have some time. We’d love to hear your thoughts on how we’re doing! Thanks for having created this website, Dave! The Amazon-L listserv is a community of women with breast cancer who have chosen NOT to do conventional treatment. For some, it’s a conscious choice, made after much research and soul-searching. Others, such as those with multiple chemical sensitivities, feel that it’s the only route available to them. Still others did standard treatment that failed them, so now they walk the alternative side of the medical street. Our listserv exists primarily to support those using or wanting to use alternatives in order to heal. We do an enormous amount of research, mostly from alternative resources, but we also share conventional research related to a topic we’ve been discussing, or which surprise us. We discuss the research papers we find, seek other papers to corroborate or refute what we’ve found, and in some cases contact the researchers directly in our search to learn what might be useful against our disease. We share what our alternative practitioners have taught us, and support one another throughout. will join us before any kind of biopsy is done — that is, even before she knows if her lump is cancerous. That’s because all biopsies are not equal, and there are ways other than surgical to determine if a lump is cancerous or not. Thanks again for being here, Dave! It’s been awhile since we spoke, but healthetreatment has gained terrific momentum in the past year, too. Healthetreatment collects and displays self-reported health statistics and user-generated health content. Our mission is to help people around the world find new ways to feel better; to have a more productive conversation with their healthcare provider; and to have a better chance at an improved quality of life. We’d be honored to be included in your list. Hello Ivan! You may wish to visit the Encephalitis Global discussion forum where people discuss encephalitis, every day. Hope to meet you there! Hello Dave – I appreciate what you are giving the world in regards to patient centered care and wellness. I am the founder of Health-Insurance-Forum.com I have been a medical biller for the past 5 years, after taking courses in medical coding and billing. At Health-Insurance-Forum.com the goal is to clarify and increase the transparency of the health insurance industry for patients as well as empower patients and encourage questions. With Health Insurance you can’t take anything at face value and we believe it should be treated as any other consumer industry – where people/patients/consumers are able to ask about things they don’t understand in an open discussion forum. I have added your site to the HIF resources page. Thanks for pulling together this list. Two more for you to add to the disease-specific. MyAutismTeam.com is a social network for parents of kids with autism. It has over 38,000 parents on it from all over the US and Canada. MyBCTeam.com is a social network for women who have been diagnosed (at any point in their life) with breast cancer. It launched 5 months ago and already has over 3,500 women. You can think about both of these communities as a cross between Facebook + Yelp + Pinterest -but focused specifically on each condition. They are free. Are there online communities for people with celiac disease (Wikipedia)? I’m compiling resources for someone I met, who was unaware that online patient communities exist. Suggestions, anyone? — I’m not clear about the relatedness (or not) of Crohn’s Disease, other IBD (irritable bowel disease) and everything else. I know about the ImproveCareNow “learning health system” for children with IBD, but celiac isn’t included. — On the C3N site I found this discussion among some patients. It’s the internet in all its glory: misspellings and sloppiness with valuable information in the stream. Real people exchanging real experiences, including their feelings. — I’ve also started using Symplur.com’s hashtag feature to find Twitter discussions. Here’s the one for #celiac. — A related hashtag is #glutenfree, with a ton of traffic – over 1500 tweets a day, largely about “GF” foods (gluten free). Today’s Boston Globe has an article about an apparently promising vaccine to eliminate the disease. Many open questions, but apparently worth following. Check out the Inspire/Celiac Central Support Community… We partner with @CeliacAwareness. We are the UK’s charity for people with coeliac disease and dermatitis herpetiformis. Both of our social media channels have a great following and are places where help and guidance, ideas, recipes and thoughts are all shared on a daily basis. Please take a look and visit our website – http://www.coeliac.org.uk – for more information. Thanks! Looks like useful resources – do you have patient community there, discussing things? I couldn’t tell, at first look. Hi Dave. Our social media channel participants tend to be a mix of patients, friends and families of those with coeliac disease and those looking for a diagnosis, but we don’t have any statistics on number of patients. Hi Dave -looking for a community discussing the treatment of uveitis. My husband suffers from this condition. Specialist after specialist canno tell us what has caused this and he has been on prednisone and methotrexate for almost 10 years. Thanks Dave for all you do, the work you do is truly amazing. My father has just been diagnosed with AML (Acute myeloid leukemia) and I am wondering if there are any online patient communities out there I can connect him with? He is going in to City of Hope today for additional diagnostic testing and to see what his treatment will be and when it will start. I’ve heard this disease is aggressive so am hoping that this has been caught early. I also wanted to get engaged as a family member so any recommendations for sites, books, articles to read would be greatly appreciated. I’ll tweet it – best wishes. Appreciated Dave… Encephalitis Global’s forum has been associated with Inspire since 2008; we continue to be delighted with their management style. There’s an organization called CHERUBS for people born with Congenital Diaphragmatic Hernia. It was started as a way for our parents to connect but has since grown as a way for survivors to connect as well. They hold fundraisers for research and overall bring awareness. Thanks! I’ll add it to the list the next time I’m in there. You might want to add rawarrior.com! If Facebook communities can be included, our public site on Facebook is facebook.com/clusterheadachesupport. From there, members can join a private Facebook community as well. Of course – thank you! Thanks very much. I need to get in to the back end of this page and edit the list! There’s a nonprofit organization called Human Health Project (HHP). Sounds fascinating – I’ve wondered if such a thing would ever get started, Nancy. I’d like to explore sometime! I have found Inspire.com to have the best community for my rare cancer, Pancreatic Neuroendocrine Tumor. Over 500 people which is pretty significant considering. And very active with many daily updates from many of them. Hey e-Patient Dave, What do you know about patient portals with physician offices? Looks like with Blue Button we can easily view our medical data, download it or send it to another doctor…at least in some physician offices. What do you mean by “what do I know”? I advocate for the cause in speeches and blogging, and I write books, and I’m trying to do some consulting work. So, sadly, I don’t have nearly enough capacity to study what current reality is on the front lines … wish I did! There is a new network of communities for people with many diseases, many are rare, some like lupus and Fibromyalgia and the community for caregivers are not so rare. It’s a huge network called Ben’s Friends. Each community is laid out a bit like Facebook, in that you have a home page and some info about yourselves, then people can leave messages on your page, and people start “discussions” that others reply to. There is no news feed like Facebook. I belong to 4 of Ben’s friends communities. Learn more at http://www.bensfriends.org. I wish I had a way to include the link to each site here, but the link I just gave, if you go there, look on the right side of the page where the list of diseases are, and then click on the disease you are interested in, and you will be taken to that community’s website. They are getting all sorts of recognition and awards, and lately I have even seen doctors joining because they get so much information from the patients there, that is not not in a textbook. HealthUnlocked has a number of patients communities run by evidenced based organizations. What specifically do you mean by “evidence based organizations”? Your About page https://healthunlocked.com/about says over 500 patient organizations – do you mean 500 communities (“PAGs”) in your site, or something else? Sorry for the delay in responding. I didn’t see you had replied! All HealthUnlocked communities (with the rare exception) are run and administrated by partners. Those partners are typically charities with a focus on a particular disease or condition. We aim to partner with those organisations that have an evidence-based approach to health (particularly with regard to their condition-focus). There are over 500 partners in various parts of the world and in a few different languages, the majority being English speaking and from the UK, though we are now beginning to offer the communities (for free) to US organizations as well. The question about finances is a good and appropriate one. Sorry you couldn’t see it on our site. We’ve got a link in the footer, ‘Business model’ which explains this: https://healthunlocked.com/about/business. In short we’ve created technology that helps connect physicians and patients, which generates income and we occasionally help with research. One more question – do you vet each community and engage with them ongoingly? I do applaud what seems to be a thoughtful and intelligent business model. I know first-hand that it takes real work to generate real value for people in need AND stay in business. That’s a great point. Being clear is very important to us and using a more colloquial term or phrase is a good idea. We do vet our partners. We also help them get their community going, mostly through resources / materials we provide. Once the community is up and running we try to be ‘non-editorial’ and let the community admins, who are the experts of their condition area, run the community. We offer ongoing support as and when it is needed. We also offer a community solely for admins of communities so they can seek advice and learn from one another. If you’re interested in hearing more about HealthUnlocked I’m sure our founder, a former orthopaedic surgeon for the NHS, would be happy to have a chat. Thanks for the great questions and advice. Feel free to keep the conversation going. My email is joel [at] healthunlocked [dot] com. MyGlu.org is the only online type 1 diabetes community that does real-world research through online surveys and polls. We also offer a supportive forum and content on a variety of research and lifestyle topics. We’d love to be added to your list! I learned to reverse Crohn’s disease (which I was told was impossible) and love helping other people replicate this process. As a result of that journey, I actually co-founded DaoCloud.com – the network for wellness. It’s an online community where you can find trust wellness resources, information, and professionals. It is an excellent resource that other readers of your site will certainly appreciate. Hi, Eric. I looked at the site and it violates my very first principle of judging unknown content on the web: there’s nothing that says who owns and funds the site. Without that, I can’t recommend anything. So I’ll leave this comment here but recommend people avoid the site, as an example. If you add that to the site, e.g. in an About Us or Who We Are page, come back and let me know so we can update this thread. The problem is, the internet’s a big messy place with all kinds of scams, so if you want to be seen as “not a scam” you need to make clear who’s funding it. I hope you understand. Thank you so much for this list of patients’ communities! It will be of utmost importance for us at FindMeCure too. By the way, I believe FindMeCure would be a really useful addition to this list. We are a patients’ platform providing information about more than 90% of the clinical trials worldwide as well as free assistance in the application process for each suitable trial. Well, yes and no. From what I see on the website, FindMeCure is not at all a patient community, right? So I’ll add it to the subhead “Places to find clinical trials.” Thanks! Thanks for adding FindMeCure to the list of “places to find clinical trials”! This is what I meant too, my apologies if it wasn’t clear enough. Indeed, FindMeCure is a platform that supports patients in their search for clinical trials, not a community itself.